Considered by many historians to be the greatest American president, Abraham Lincoln led the Union at the greatest turning point in the nation’s history. Abraham Lincoln: Defender of the Union! 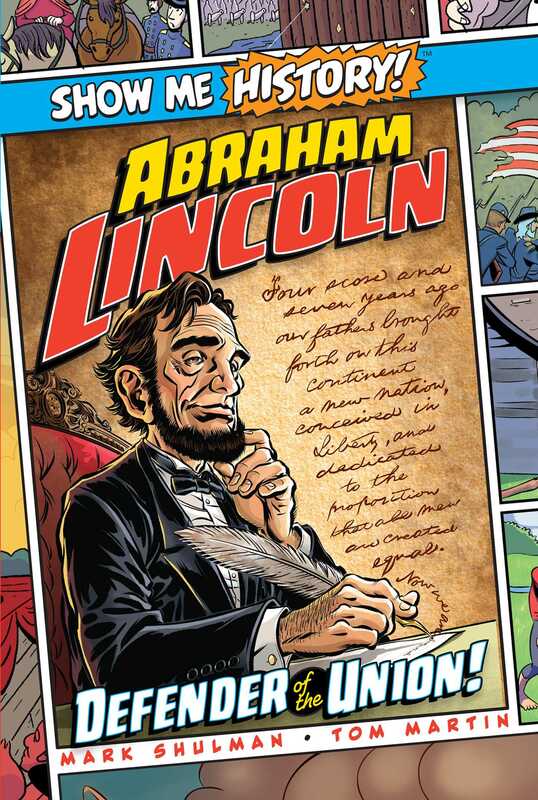 tells the story of one of America’s most admired figures in graphic novel format. From his childhood on a farm in Kentucky to the battlefields of the Civil War, Abraham Lincoln served the United States with resolve, intelligence, and courage unlike that of any other president. Readers of all ages will be entertained and educated by the full-color illustrations and historically accurate narrative of this graphical biography.